It’s Easter, and I’m late with this news, but last November 2015, just after I moved from Ohio to Oregon, the Centennial Edition of the Speedball Textbook, A Comprehensive Guide to Pen & Brush Lettering, 24th Edition, finally hit the market! Yah! My father Cliff Mansley, Sr. and I are both honored and grateful to be included among so many accomplished and inspiring lettering artists. I snapped a photo of our pages below and offer you a brief description, plus links to purchase the book. 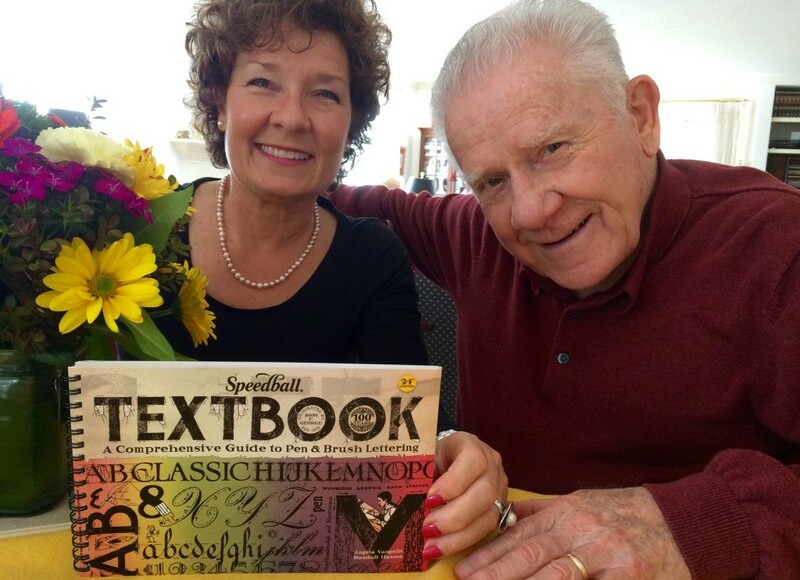 Holly Monroe and Cliff Mansley, Sr. showing off the cover of the 2015 Speedball Textbook, 24th Edition in which they are both featured. For a little $15. book the Speedball Textbook, 24th Edition packs a big punch. 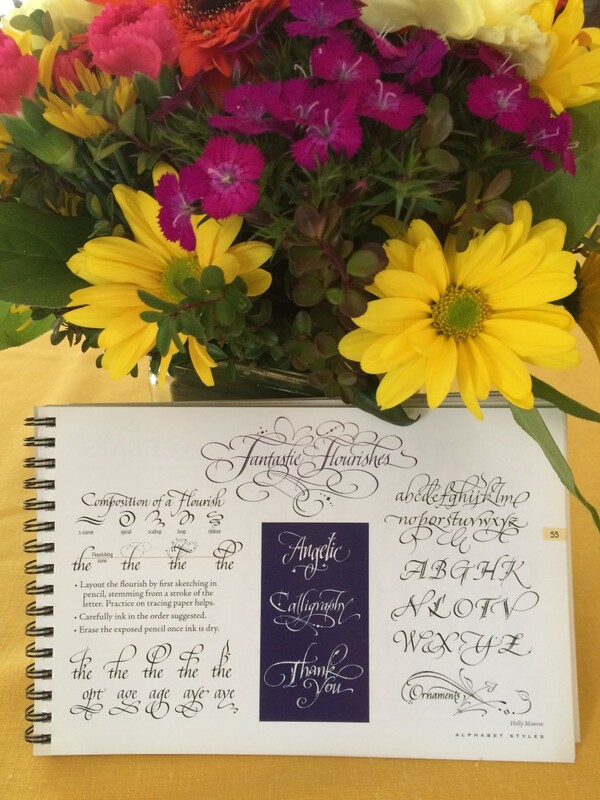 Students of the written word can see a wide variety of lettering styles as well as fabulous finished examples from contemporary calligraphers of today. The added bonus in this edition, edited by Angela Vandalis and Randal Hasson, is that it salutes lettering throughout the last 100 years. Love bears all things from I Cor 13. Cliff Mansley’s calligraphy in the Speedball Textbook, 24th Ed. In the front you’ll find a fold out page featuring the covers of 24 past editions of the Speedball Textbook. It moves on to Tools, Tips and Techniques, lettering styles through the ages (pointed pen, broad-edged, brush, hand drawn, etc. ), commercial lettering and so much more. If you’re a lover of letters you’ll want a copy! Order from www.JohnNealBooks.com or www.PaperInkArts.com two small businesses that cater to the Lettering and Book Arts community. Bottom right: Flourished title of a poem about Scout Leader’s Wives. 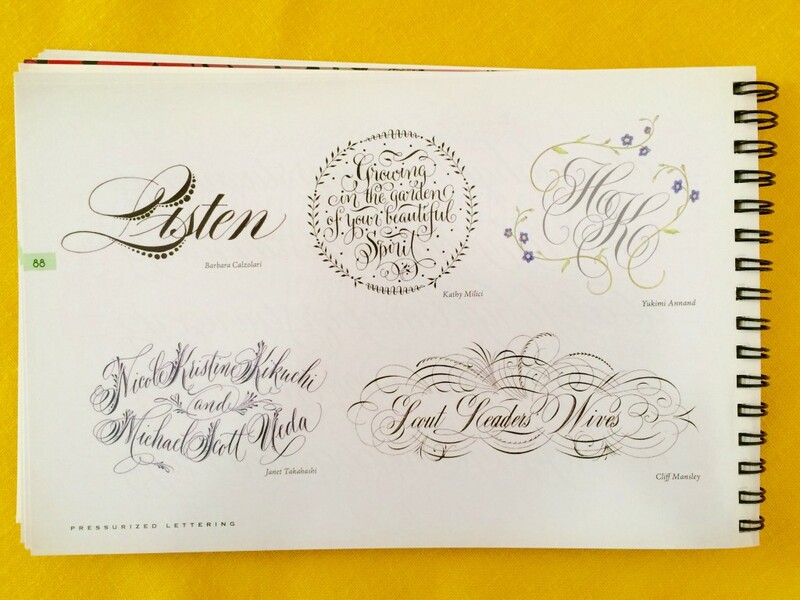 Lettering/Flourishing by Cliff Mansley, Sr.
Holly Monroe’s mini-course in flourishing appearing in the Speedball Textbook, 24th Edition, 2015, page 55. 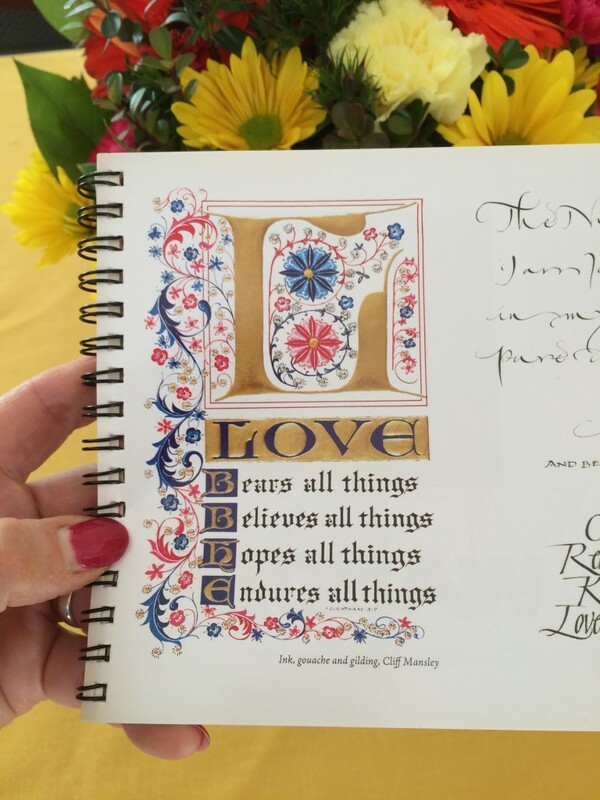 For a more comprehensive weekend workshop, FANTASTIC FLOURISHES, contact Letters@HollyMonroe.com.